The Sinclairs are always perfect. No matter what happens, they are a perfect, beautiful family. Nothing is ever wrong, even when the opposite is true. Problems just don’t exist…not for them. They believe that strength comes from burying issues and not dwelling on them. That having feelings makes a person weak. They have turned living in ignorance into an art form, and are content with such. But, is that really possible? Is that really the healthy way to live your life? There comes a point when you can no longer bury your pain. What happens then? 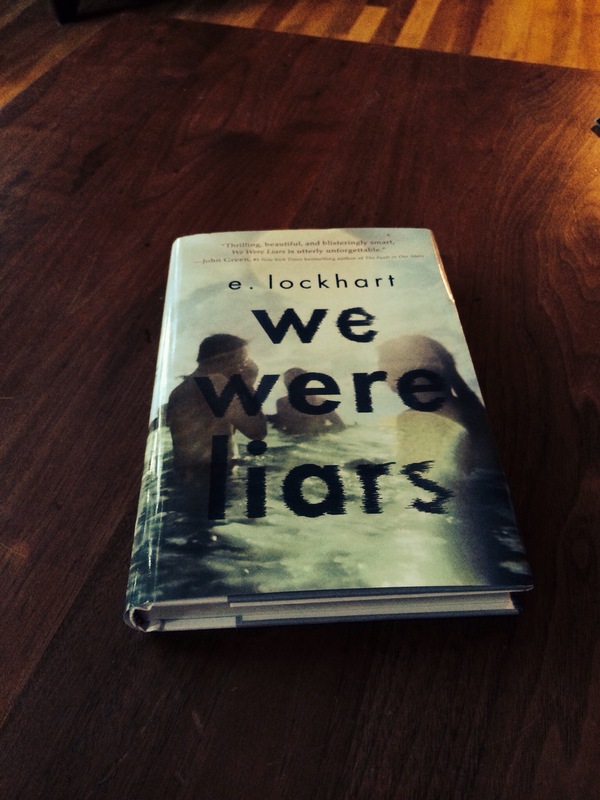 In E. Lockhart’s novel, We Were Liars, Cadence returns to Beechwood Island for the summer after a season’s absence due to debilitating migraines. 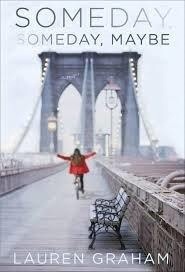 Having no memory of the accident from summer fifteen (she is now seventeen), Cadence hopes that being around the Liars – Gat and her cousins, Johnny and Mirren – will enable her to learn the truth about what happened. There is only one thing standing in her way. The Sinclairs. Cadence is a Sinclair, and the Sinclairs have no problems. When everyone is refusing to talk about the accident, will Cadence stay in the state of not-knowing forever, or will coming back to Beechwood Island be the key to unlocking the memories that her mind (and everyone else) has tried hard to keep buried. 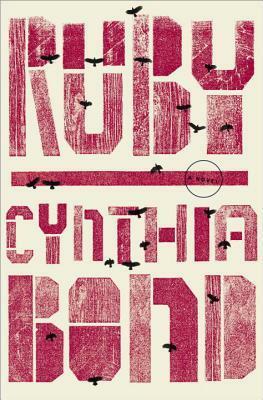 In Cynthia Bond’s debut novel, Ruby, she explores many themes including: cult rituals, blindness in faith, and the true strength of love. At its core though, the novel is about one woman’s struggle to regain control of her life amidst a sea of destruction and the man who tries to help her do it. Ruby and Ephram met as children in the woods one afternoon. Ruby spent most of her time working for a woman a few towns over, so she was barely home, but Ephram never forgot how beautiful she was. From there, Ruby went to NYC in search of her mother who had long since run away, leaving everything behind her, or so she thought. On the outside, she was educated, and she knew how to put herself together, but she never could completely shake away the horrors of her youth. Decades later, she returns to the small Texas town from which she grew up, becoming increasingly haunted by the past, allowing it to reclaim her soul and take over her life in ways that she never could have imagined. It’s only when Ephram gains the courage to show her what it means to be loved unconditionally that Ruby starts to realize just how far she has fallen. Slowly, Ephram brings back the woman that she once was, but will that be enough to drag Ruby out of the darkness, or does the past have too strong a hold on her? Will Ruby be able to let go of it all, or will she remain a prisoner of her own mind forever. How strong is the power of unconditional love? How strong is the power of faith in yourself, that you can get through anything you set your mind to? Bond asks us these questions again and again in Ruby, but does she give us the answers that we want to hear, does she leave us with a more ugly truth, or does she leave these questions unanswered altogether. In life, we are constantly faced with questions or problems, but rarely a solution. We walk through life with uncertainty, but only the best of us are able to keep living without the answers. 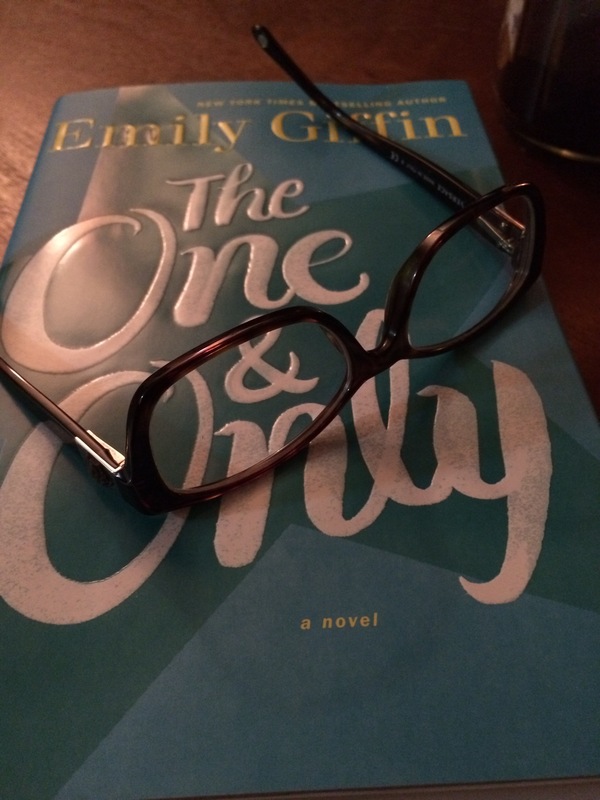 For her first novel with Random House, Emily Giffin’s The One & Only is, in some ways, quite a bit different from her other novels, revolving mainly around college football and the lives of those involved (directly or indirectly) in it. But, if you look beyond all of the sports discourse, you can see that, at its core, it is still a Giffin novel, just with love and relationships as a secondary focus instead of the main one. The novel follows Shea Rigsby, a woman whose life completely revolves around football – something she has been passionate about since before she can remember. Her best friend, Lucy, is the daughter of famed college football coach Clive Carr, who not only is the head coach for Walker University – in the town of the same name that Shea grew up in – but also has been a role model and father figure to her due to her father’s absence. The Carrs are Shea’s second family, so when tragedy strikes them, naturally she empathizes and tries to do everything she can do to help them through it. But, with tragedy comes reflection; it’s what makes people reexamine their lives and make changes that they wouldn’t have done otherwise, and Shea is no different in that aspect. Maybe Walker isn’t everything. Shea makes big changes in both her personal and professional lives that, although seem to be the right paths for her, ultimately leave her wondering: what if everything she could ever want or need was there all along. What if Walker really was everything? There is a major focus on football, but does it work for Giffin? Can her fans get passed the overwhelming assault of an emasculating sport or will they be thoroughly disappointed? Although I was slightly taken aback as to the sheer volume at which football comes into play in The One & Only, I think her writing stands for itself. What I love about Giffin novels is their ability to make me not only feel for and relate to the characters in the story, but also, their ability to make me turn inward and self-reflect. So many of us have aspects of our lives that we are not happy with, whether it be a job that doesn’t interest us, a love life that doesn’t challenge us, or just a melancholic feeling towards ourselves in general. Sometimes, changes have to be made in order for us to be happy, but often times, it’s just more a matter of changing our perception on things, as Shea experiences. Sometimes you need to take a step outside of yourself and your life to realize that everything you ever could have wanted has been there the whole time. In Lauren Graham’s debut novel, Someday, Someday, Maybe, we follow Franny Banks, as she tries to make ends meet in this cute, coming of age story about deadlines, crushes and what it means to be a struggling actor. Franny has a self-imposed deadline that ends in six months, yet all she has to show for herself is one commercial, a waitressing job she can’t stand, and a depleting bank account. With an agent that won’t return her phone calls, will Franny be able to meet her deadline, or will she have to return home to her dad and figure out a plan B? What’s great about this novel is that you don’t have to be interested in acting or in “the business” to relate to Franny, because the real issue that she is struggling with is growing up and learning about herself. We have all been there. We have all struggled (some more than others) to get the job we want, struggled to be noticed by that person we love, struggled with our identity, and in Someday, Someday, Maybe, Graham reminds us of this. But she also reminds us that if we keep persisting and don’t give up, we can achieve life changing opportunities. Anything is possible. Last week, I attended the book launch for Diane Keaton’s new memoir, Let’s Just Say It Wasn’t Pretty, published by Random House, along with my friend Mei. The event was held at Barnes & Noble’s Union Square location and free with the purchase of her book (as most events held at B&N are), and there was a significant turnout. There are few celebrities that I would get excited to meet (Julia Roberts, the original cast of 90210), and even fewer that I would purchase a memoir from (same answer), then there’s Diane Keaton. Having grown up watching many of her movies (okay, I must admit that I have yet to see The Godfather), and being of the opinion that she is an amazing actress, one of the greats, because, well, she is, I was thrilled to get the opportunity to not only see her in person, but actually meet her. And, it was awesome. Before she even got to the stage and was announced, I saw her walking towards us. My friend and I had seats that were pretty close to the stage, but were asked to move last minute to make room for others and had chairs brought up to us on the side lines. This kind of obstructed our view a bit, but turned out to be the best move because when they started forming lines based on rows for Diane to sign her book, I ended up being the first one up there. Diane Keaton was funny, smart and most of all, really sweet. And, while I hadn’t originally planned on doing anything with her book other than getting it signed, I might crack it open after all. Oh, and she had a black and white plaid mani of which I complimented her on.